Social media marketing is the most effective form of advertising. Advertising campaigns on social media hold more impressions and sales than the typical PPC network on search campaigns. 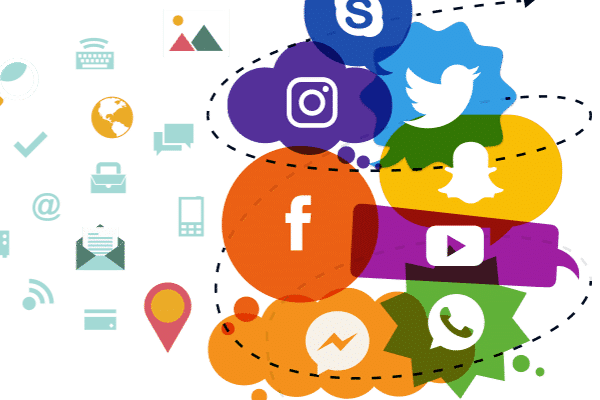 Social media Advertising such as Facebook, Instagram and Twitter is the place where you can target people through different attributes such as interest, location, association and much more so this is a better way of targeting people without need of keyword. Our social media advertising services boost your results. You can reach people instantly, it means you can generate followers, engagement, and website traffic fast. The more ad dollars you will be able to provide, the more people we can reach so as you reach more people, you open up the door for more awareness, traffic, and sales. Use the most popular platform to reach desired customers and drives traffic to your website. Target the most engaging audience to spark interest on your products and services through instagram news feed with social media advertisements. Target audience and use the best social media advertising platform searching for pins related to products and services. Target professionals and decision makers through LinkedIn advertising and gain awareness and website traffic. Report & communication: Our ad specialist will prepare a weekly report for you to review, to know how your paid search advertisements are working.